It's the night before Christmas and Santa Claus is on his way! 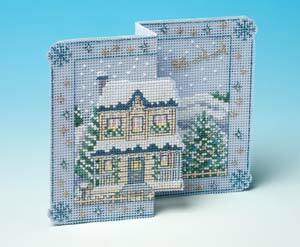 This card is worked on light blue perforated paper and decorated with beads and sparkling threads. It is 12.5 cms high when complete.